Our shop is nestled away at the end of a listed walk way in the centre of Wokingham. As you leave the busy street behind, you are transported into a haven of calm and tranquillity. As you walk through our doors, your senses are tantalised by the glorious smell created by the candles and diffusers, and the colour and beauty of our goods. Our houseologists will greet you with a smile and a warm welcome and are available to help and advise on how to create the perfect rustic décor for you home. 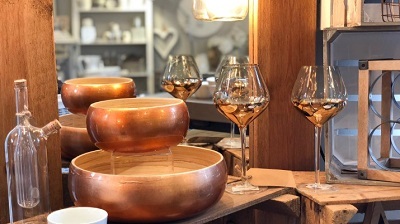 Experience our handpicked accessories first hand, organised in a way you can imagine them in your home, with each corner representing one of our looks designed to inspire you for your home or to pick the perfect gift. 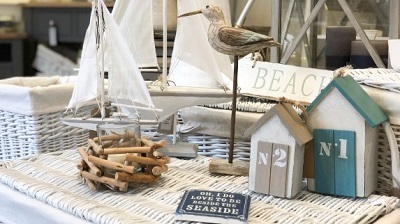 A splendid mix of birds and boats, signs and lanterns perfect for a bathroom, bedroom or whole house if the sea is your inspiration and love. This style has a more industrial loft look with retro light bulbs, copper accessories, wine racks and plaques in raw woods and black metal, perfect to dress a dining room for dinner parties or add throughout your home. 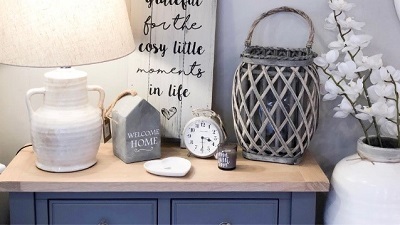 This has a fresher feel with grey and blue picture frames and candle holders, mixed with crisp white ceramics such as jugs and bowls, creating a homely modern feel you can use to create a unique style in your home. 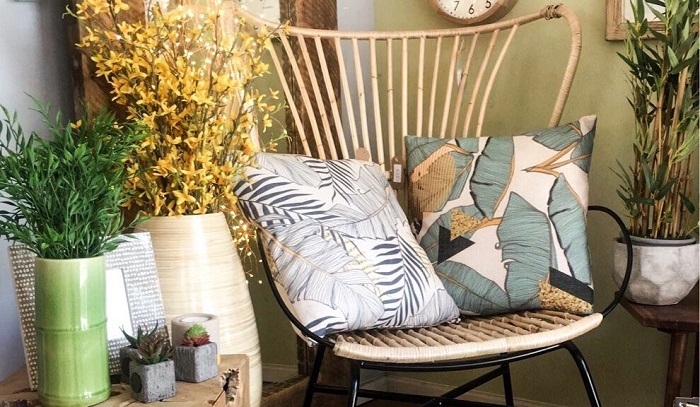 Bringing rustic style and the clean crisp lines of Scandinavian design together to create a modern chic look mixing faux plants, botanical prints, greens and greys and concrete accessories with added depth from bamboo, raw woods and other natural rustic materials. 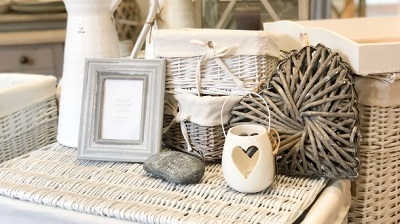 Rustic Country incorporates wicker hearts and distressed wood, especially plaques with uplifting sayings and gorgeous clocks to create a homely but individual feel. 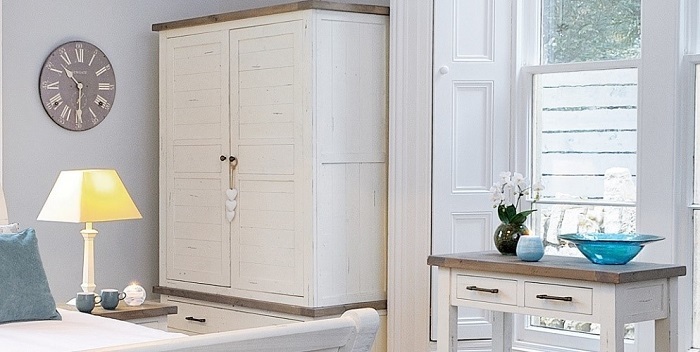 Our Shop is also a show room for our extensive online furniture ranges, and gives you the opportunity to touch and feel examples of the waxed hand finished surfaces, open drawers and cupboards to test the runners and soft close mechanisms and truly appreciate the love and hand craftmanship involved in creating our furniture. You can also explore our Vintage Paint colours first hand, with most colours available to see on our display furniture or mirrors. The most common phrase we hear from our customers is “I want my whole house to look like this” or “I just want to buy the whole shop!”. 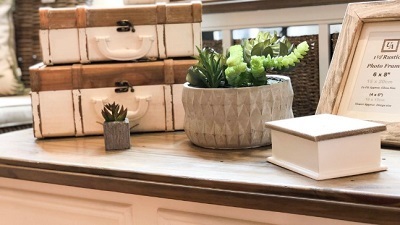 It’s no surprise really as all our products are chosen and displays created by our owner and resident Interior Designer Georgina, who adds her flare, creativity and fantastic eye to everything she touches. 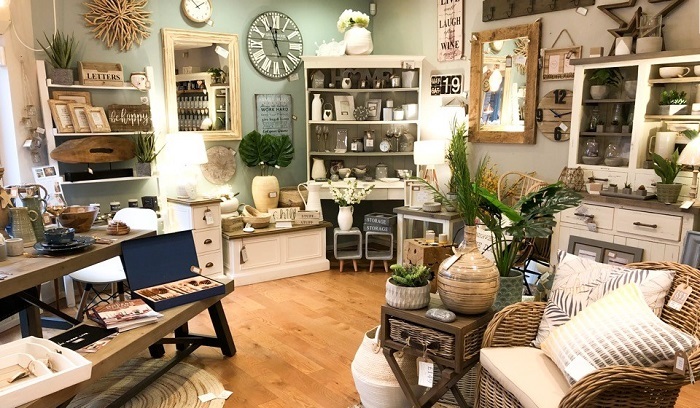 We hope you can get a feel for our shop and our products online but to truly experience Maison Rustic you need to walk through our doors and don’t forget to visit our sister shop Antique Rose next door, filled with gorgeous gifts and treat for you and your loved ones. Why not giving us a visit?